Lathe Cut – Grand River Rubber & Plastics Co.
Lathe cut gaskets are used in a variety of industrial and commercial products, from oil filters and couplings to water meters and bung caps. 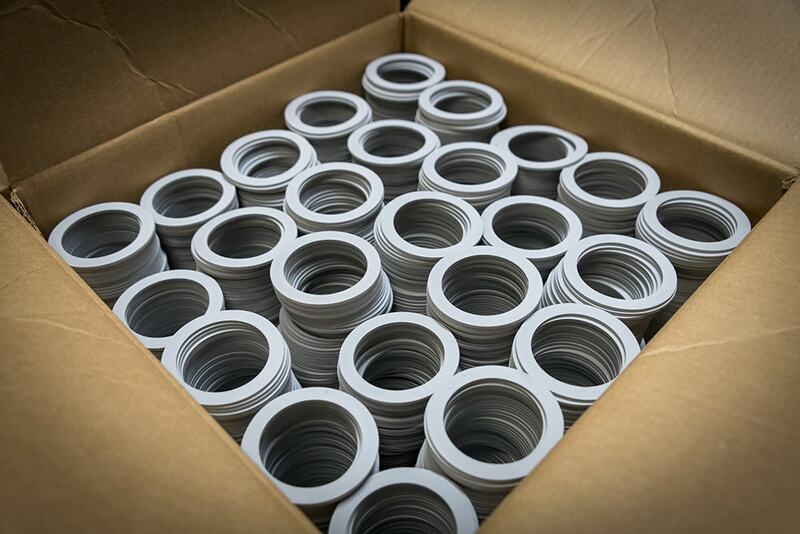 Hundreds of customers trust Grand River for high quality and precision lathe cut gaskets for OEM solutions and custom sizes. 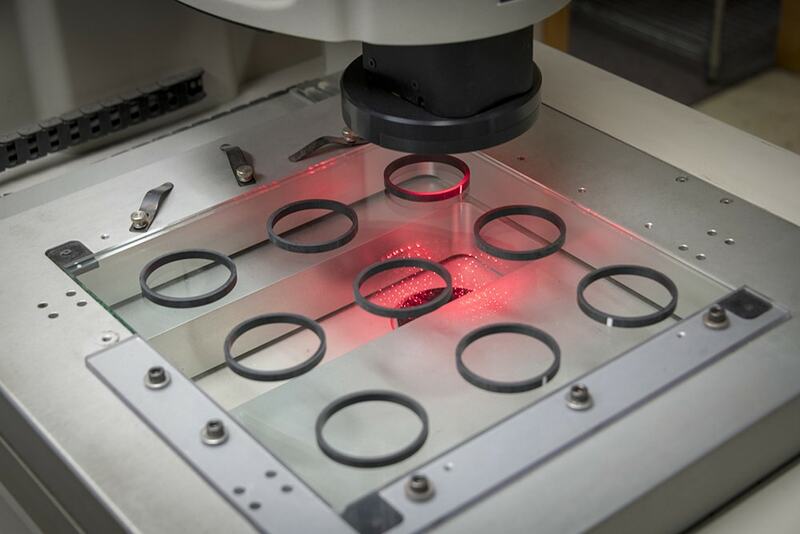 Grand River Rubber & Plastics manufactures lathe cut gaskets through a precision extrusion and curing process, with highly automated cutting equipment. Following the extrusion process, our gaskets are cured over a mandrel to assure the inside diameter meets specification and ground to assure the outside diameter also meets our stringent quality controlled specification. The cured tubes are then cut to proper width on lathes (bayonets) that provide precision cut width. Check out the video below to see how our lathe cut gaskets are made. The lathe cut process allows Grand River to provide customers a number of advantages over injection molding and die cutting. With lathe cut, there is little or no tooling costs, smaller orders, the ability to make design changes easily, and rapid prototyping can be done in just one week, all with our in-house engineering support team. Bevel cut gaskets are used in high performance sealing applications where the demanding requirements justify a higher cost compared to a square cut. Our capabilities include both single and double bevel cuts on both inside and outside sealing surfaces. Grand River Rubber & Plastics utilizes a Statistical Process Control (SPC) program called Infinity QS throughout the lathe cut process. The program allows our staff to measure the wall thickness to the specification and also is used in the finishing step of our process to measure the cut size of the gaskets. Grand River also utilizes a Microview Units Vision System that integrates with our SPC program.. This unique program can measure Internal diameter (ID), outside diameter (OD), and wall thickness, all documented in our capability reports. 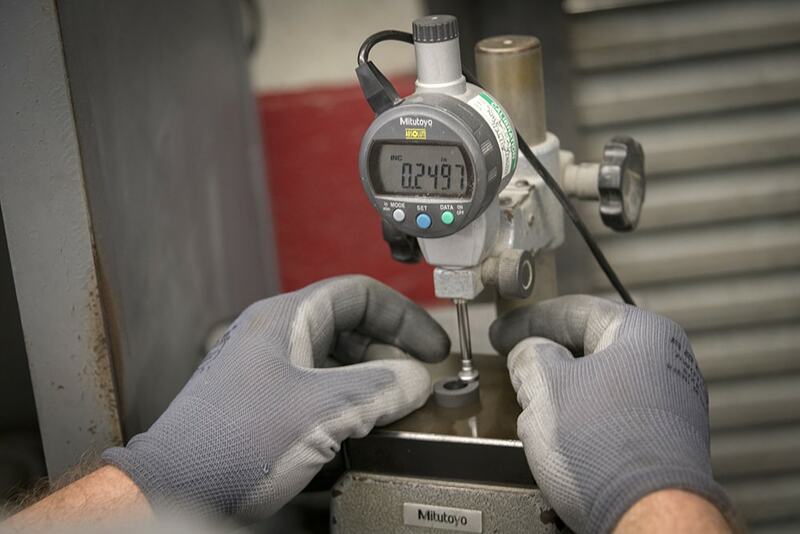 This integral quality system can measure down to one ten thousandths of an inch. Our customers approve production designs and processes before, during, and after manufacture.We use a Production Part Approval Process (PPAP) to communicate at each of these critical steps as we manufacture to your exact specifications. And, our lot-control system insures full traceability from raw materials to final inspection. Through continuous quality improvement we are able to respond with innovative refinements to produce superior products. Grand River Rubber uses a continuous improvement process from production to safety. We maintain the latest certifications and trainings, providing our customers with great quality. We also offer a variety of value add services such as packaging, bagging, labeling and material review. 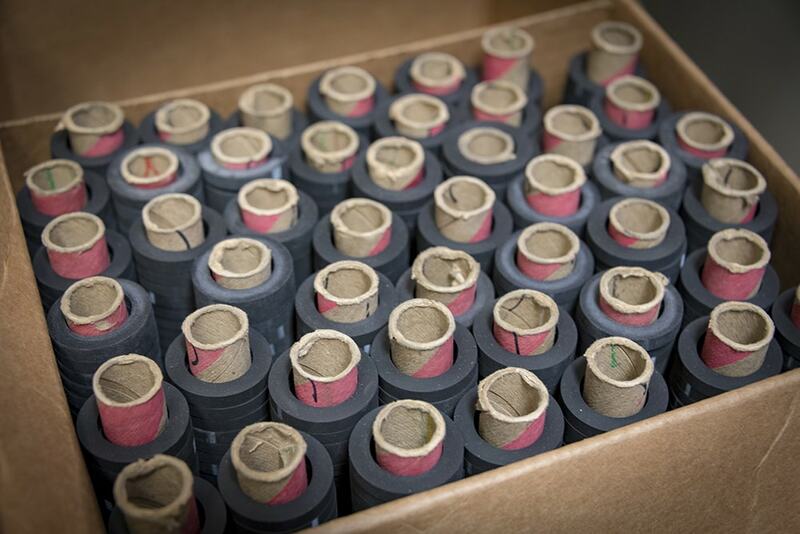 We offer many different packaging options including core, stacked, and bulk packaging. Our team is happy to assist you in choosing the best packaging option for your project. Grand River offers many bagging and labeling options. Parts can be bagged and tagged into specific quantities and labeled with P/N or any required information. We also have the ability to direct print labels or if you’d rather, send us labels to use during the bagging process. Our experts can help you determine the material that will work best for your application. 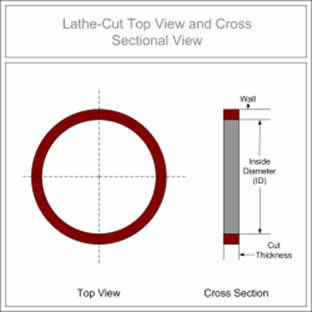 Read “How to Choose Lathe Cut Gasket Materials for Various Applications” to learn more about the materials we recommend for specific applications. Many of our clients require lubricants and coatings for specific performance. We offer various coatings such as Talc and Silicon. We also offer Special Performance Coatings ( PTFE) which is not only great for identification (since it’s offered in different colors) but also is a great low friction/non-stick coating.